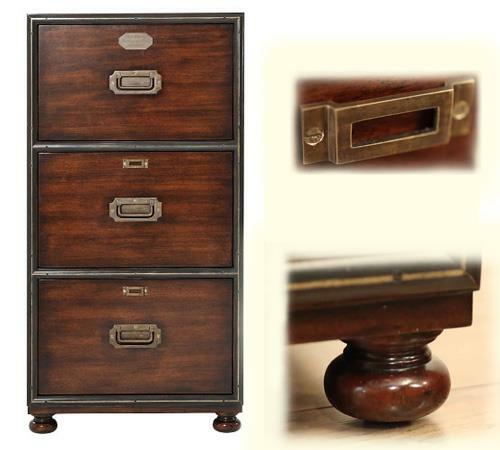 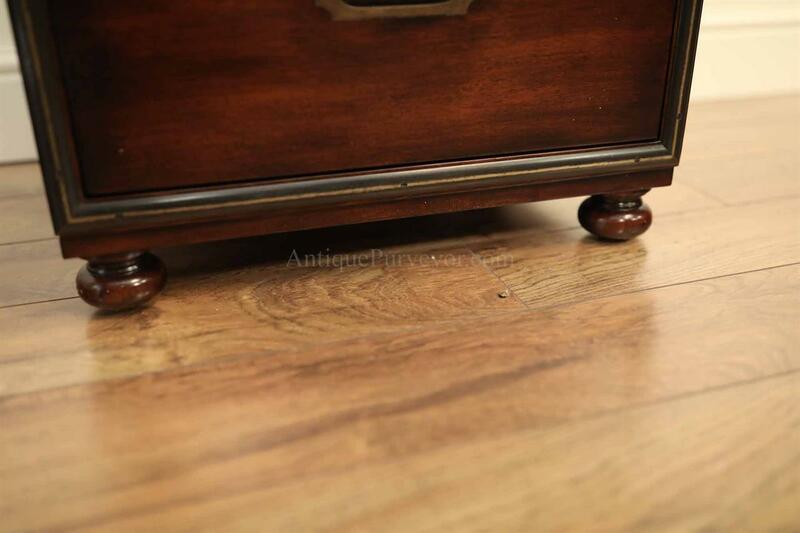 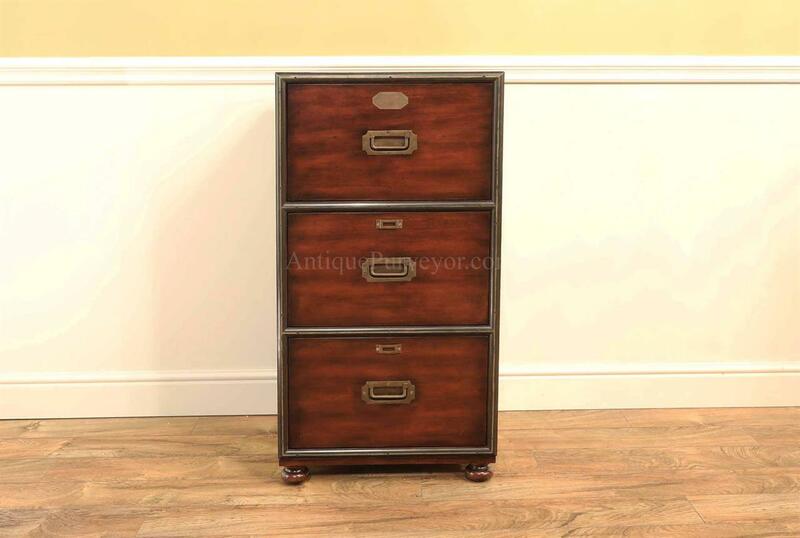 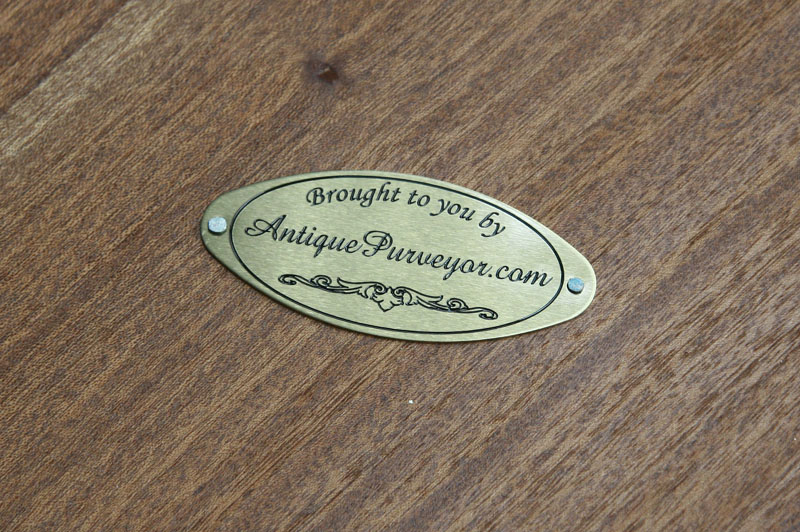 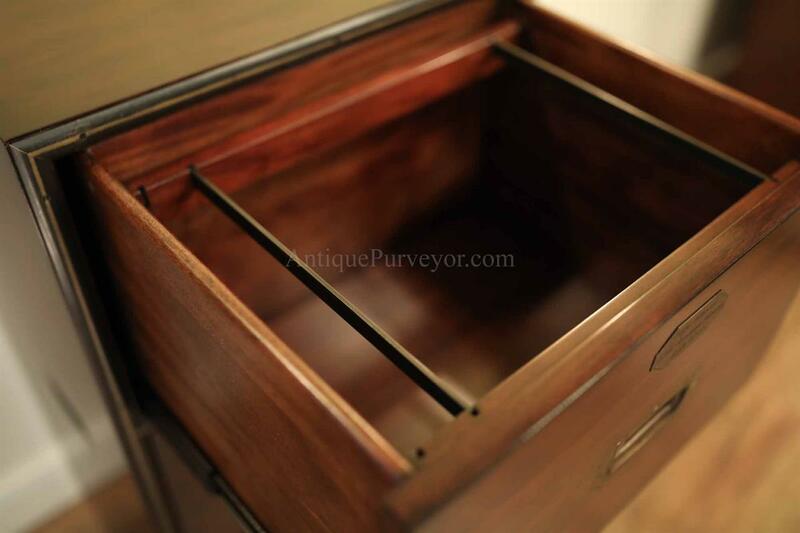 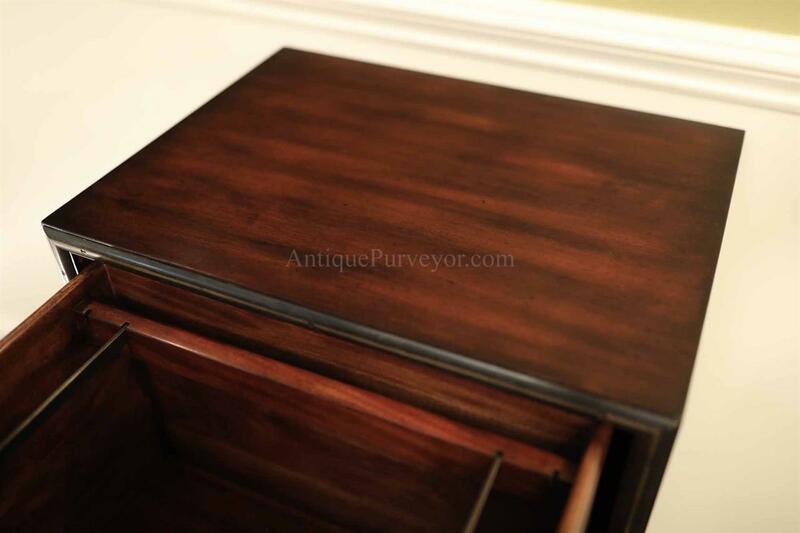 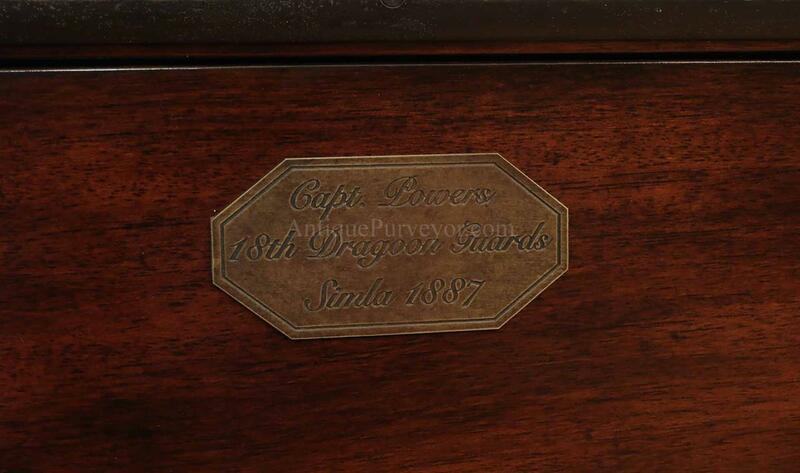 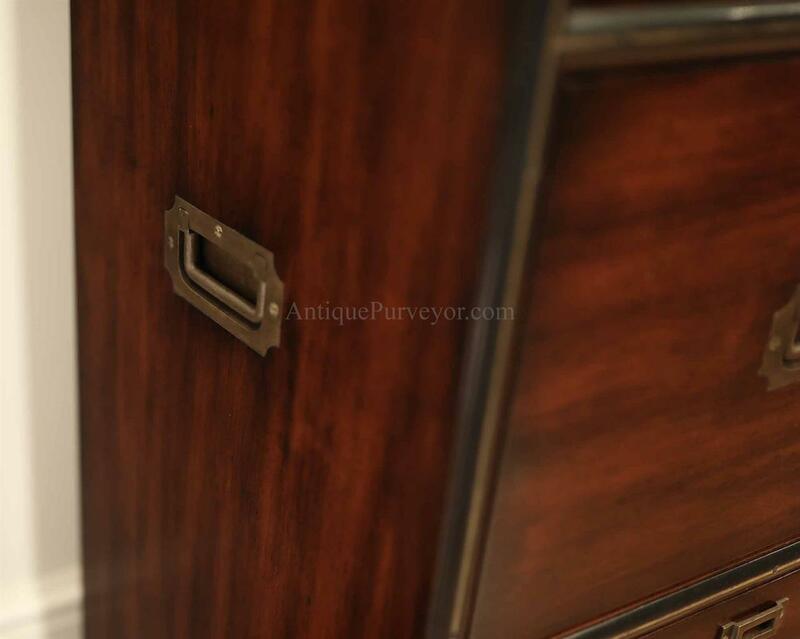 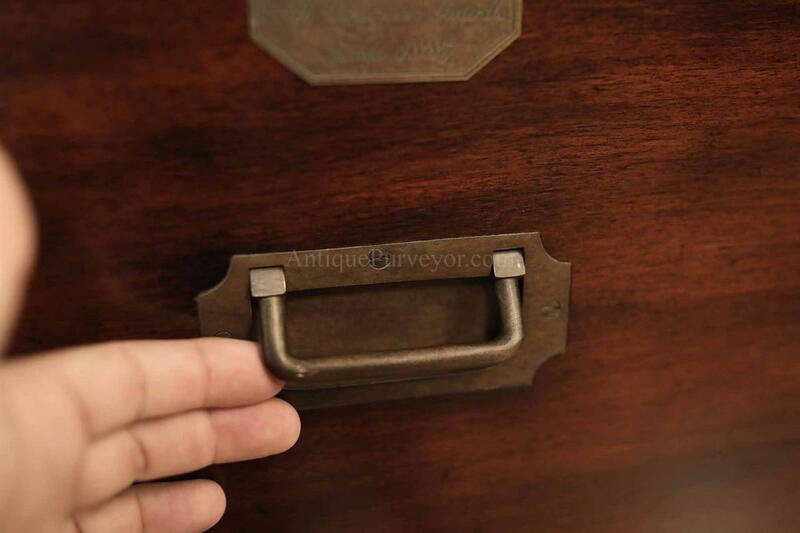 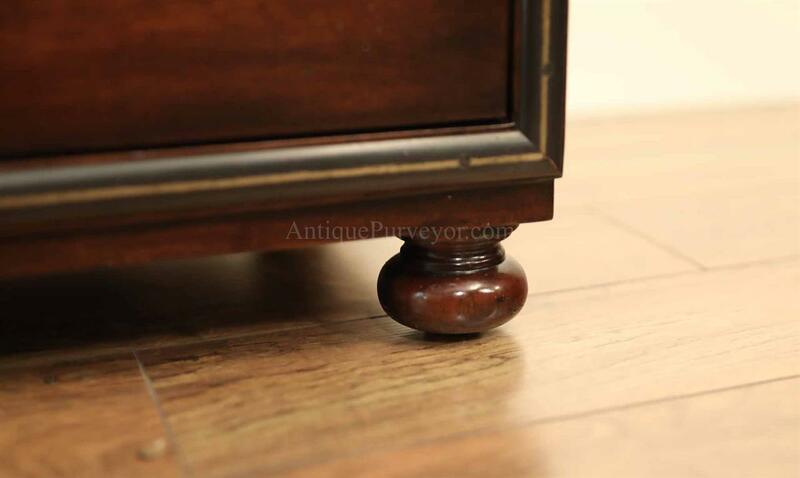 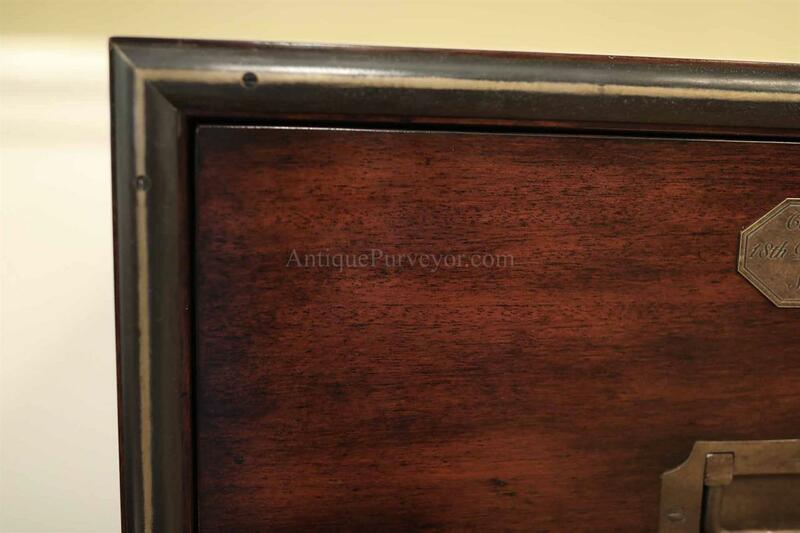 Description: High-end traditional mahogany filing cabinet on bun feet. 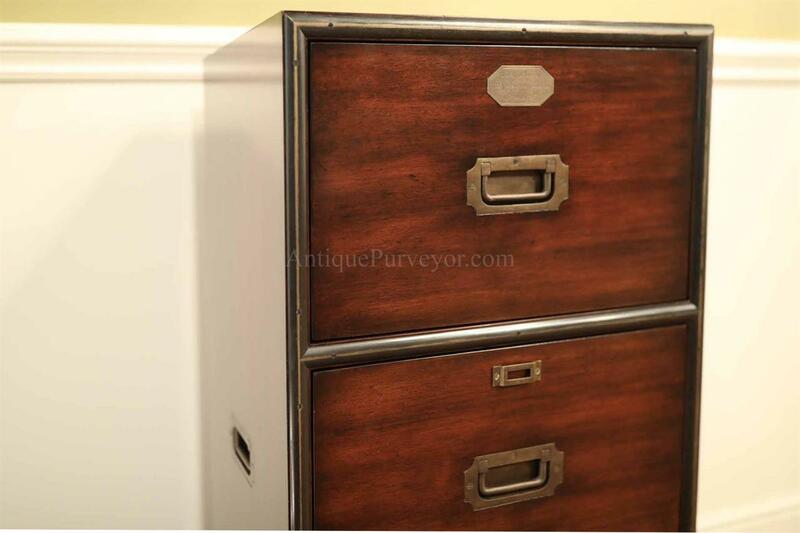 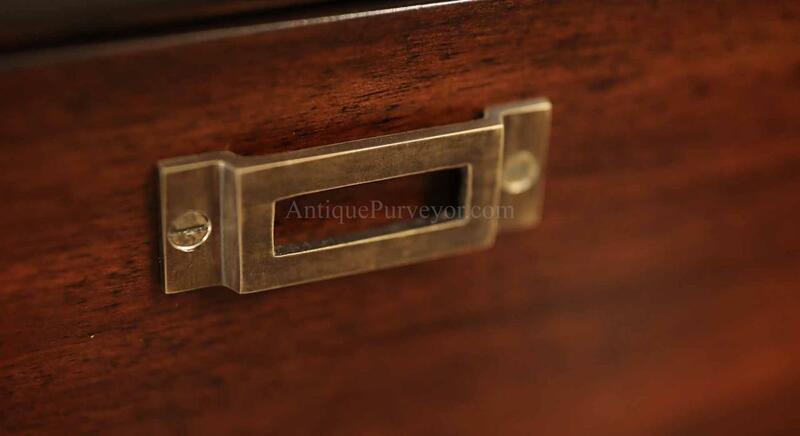 Metal trimmed three drawer file cabinet with side handles, anti-tipping hardware, recessed drawer pulls and quality forged brass label holders. 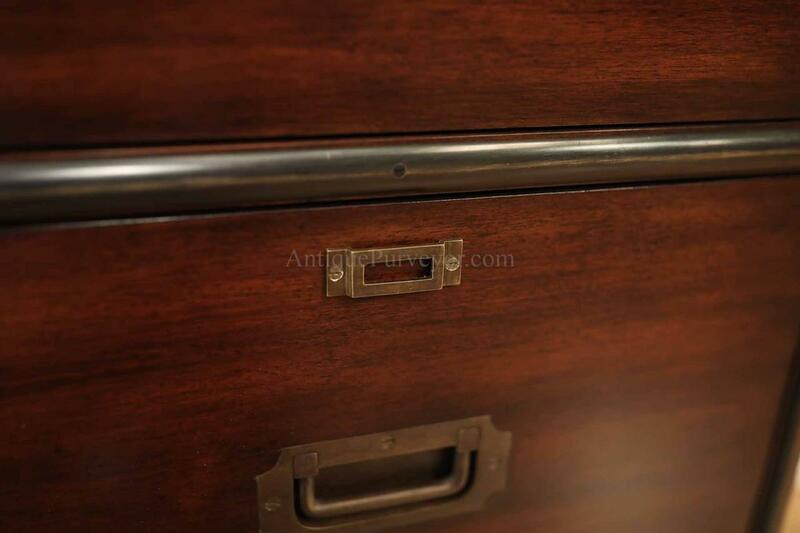 A heavy, quality file cabinet with legal and standard filing positions. 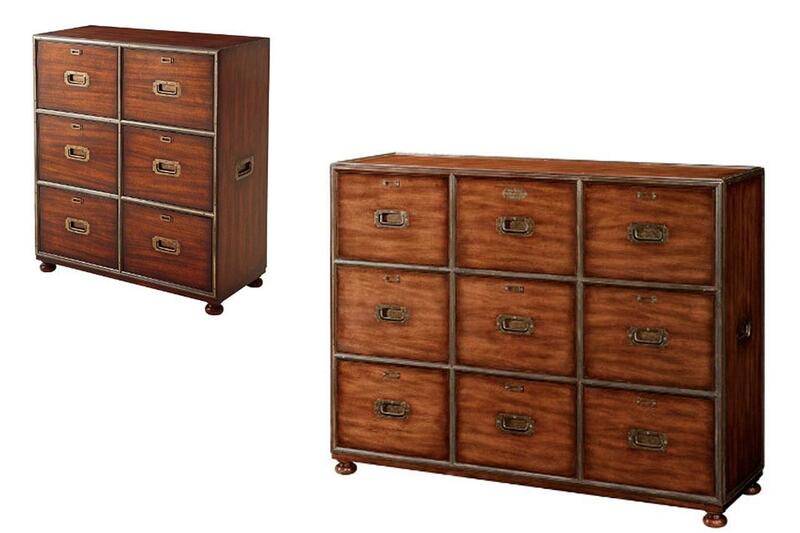 This is also available in 6 drawer and 9 drawer configurations.